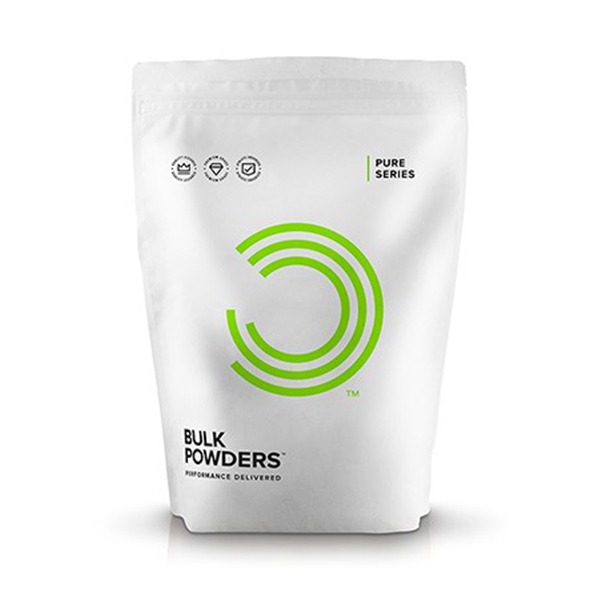 BULK POWDERS™ CLA Powder is a modified form of the Omega-6 fatty acid, Linoleic Acid. CLA stands for Conjugated Linoleic Acid. BULK POWDERS™ are one of few companies to provide CLA in powder form, giving you the convenience of adding CLA to other shakes. BULK POWDERS™ CLA contains a potent 80% active isomers and is particularly high in the important c9 t11 and t10 c12 isomers. CLA is naturally occurring in foods and the most common sources are meat and dairy, although the level of CLA consumed through the diet is typically low. BULK POWDERS™CLA Powder is comprised of 100% CLA Powder. 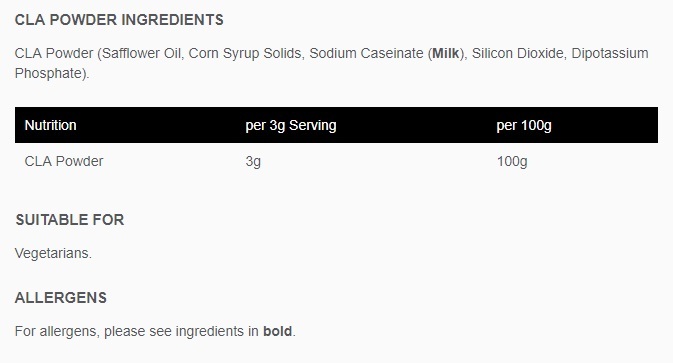 A quick check of the Certificate of Analysis (COA) on this product page (to the side of the product image) highlights the product quality. WHO IS CLA POWDER SUITABLE FOR? BULK POWDERS™ CLA Powder can be recommended for anyone looking for a high quality source for CLA, high in the important c9 t11 and t10 c12 isomers.